High performance cooling system for central processors. High temperatures are no friend of computer systems; like every other electronic device/circuit, computers prefer to run relatively cool. There is a problem, however; naturally, electronics emit heat which is a result of less than perfect energy conversion. In a computer in particular, the power supply, the central processor (CPU), the memory dimms and the hard drives, the graphics card, even the motherboard itself tend to get hotter and hotter, depending on the time the system has been on and the load it is under. It makes sense that higher loads, such as modern 3D games and specialized conversion software will showcase increased need of performance from the system's hardware - that means all hardware will essentially work faster and more and this would in turn mean generation of more heat. 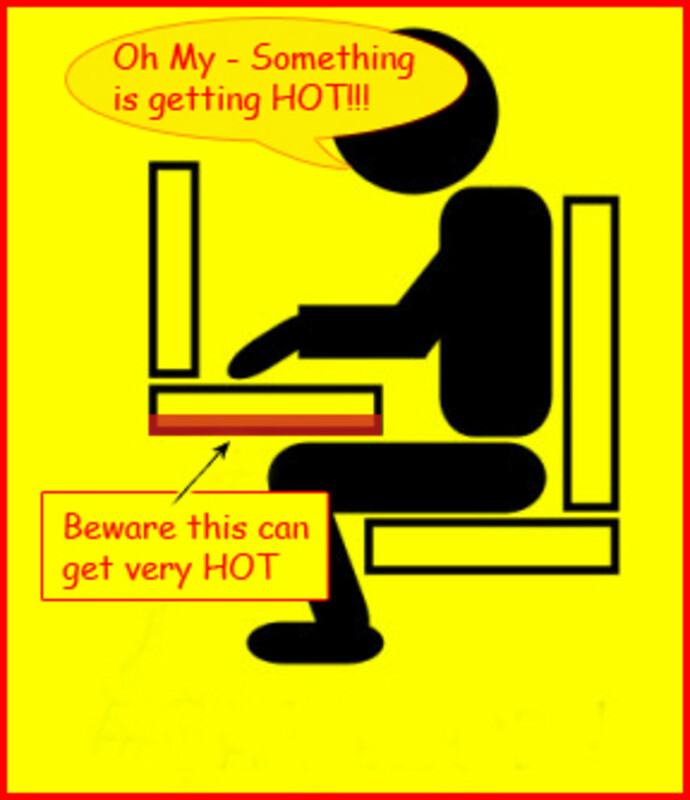 Computers hardware is equipped with particular monitoring methods to "sense" and battle the increase of temperature, before it even goes near the maximum limit allowed for the specific hardware. For example, a motherboard commonly includes many temperature sensors, and based on the settings (either the default, or the user's preferred ones) of the BIOS, it can adjust the various fans speed or even initiate a system power off, to protect the devices from burning. 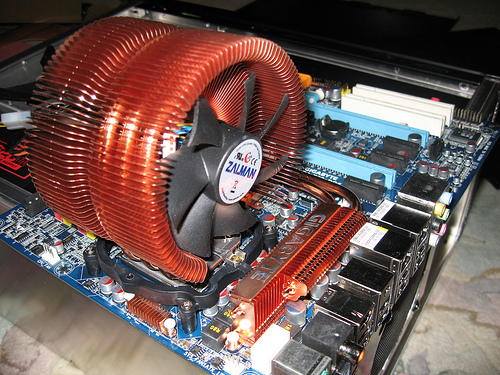 Heat in a computer system is dissipated by the use of large metallic coolers and large or smaller fans; CPUs need high quality, multi-fin cooler and very fast fan on it. The mainboard's chipsets typically also have a cooler (smaller though) but usually without a fan, and the graphics cards (which are also high in energy consumption and thus generate much heat too) combine a large cooler and one or two smaller fans on it. RAM and hard drives almost always have no fans but sometimes have coolers. All these fans are monitored and controlled by the mainboard; by checking the multiple temperature sensors, it then controls the speed of fans accordingly. More heat means the fans will rotate faster, and vice versa. 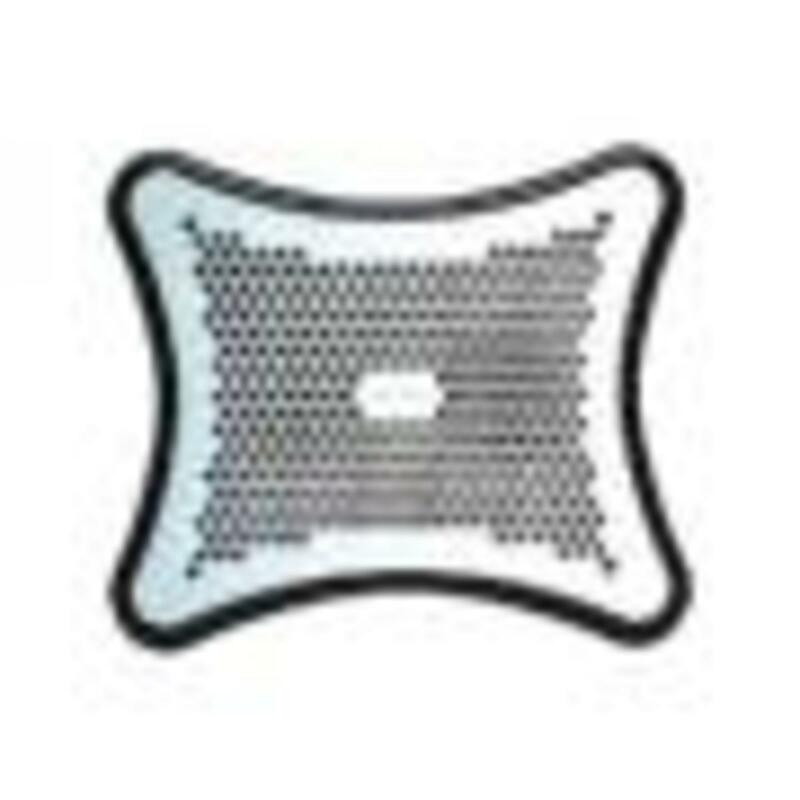 The fans are actually the main culprit for noise coming from a computer case; the dust accumulating in the fans not only causes more load on the fan itself, but also lowers its performance. We had already discussed on computer case noise reduction here. The temperatures generally do not cause problems on a computer system, meaning that in normal climate conditions and with standard usage, they won't go too high. This is not the case, however, in climates which are extremely hot and humid and in places where dust tends to accumulate. perform faster, beyond the default values. Though the process needs many lines to be described thoroughly, an overclocked CPU will have higher frequency (for example, a 3 GHz CPU can be overclocked to become a 3.2 GHz). RAM modules are also overclocked, usually by increasing the voltage applied on them. Overclocking is typically performed within BIOS if motherboard allows it. Problem with overclocking is that the increased speed of the hardware means excessive energy consumption and more heat generation, because the stock coolers/fans are not made to withstand much larger loads of temperatures than the default ones. As a result, an overclocked CPU will show higher temperatures at all times, when compared to the non-overclocked version of it. The difference of the temperatures will be bigger when resources consuming applications are ran. 3D games, which are usually the main reason a user will overclock his system, will cause serious increase in temperatures, and if the system has not been prepared for this change of thermal behavior, it will become unreliable; unwanted restarts, Blue Screens Of Death and crashes will occur when the temperature is too high for normal use. While an overclocked system can be prepared to withstand the increase of heat (with faster fans, larger coolers, addition of fans or maybe even with sophisticated methods of water cooling), most users will avoid the extra expense. They would instead try to keep the system cooler by keeping the side panel open (really bad habit, because the flow of air in the case is affected and because dust will find an easier way in, attracted by all fans) or by just monitoring the temperature themselves with windows applications like Everest, which has been described here. Regardless if a system has been overclocked or not, it is a good idea to have some knowledge over the thermal behavior of your hardware. What users commonly do is run some games to see what the maximum temperature will be, but it is not very convenient because they run in window mode. 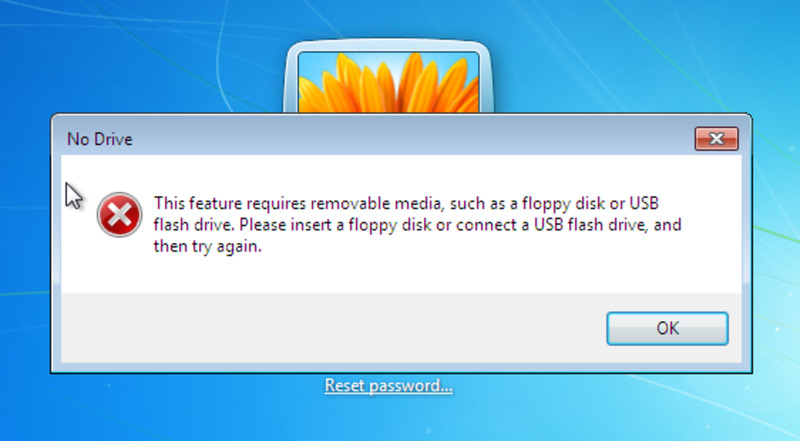 Others set particular tasks in their computers, for example defrag their drive or scan the system with antivirus, but these simply do not stress the hardware enough so the results are not reliable. That's where Prime95 shows up; this is only one of a large number of utilities which can stress your CPU and RAM by initiating complex mathematical calculations which CPUs will struggle to perform as fast as they can. 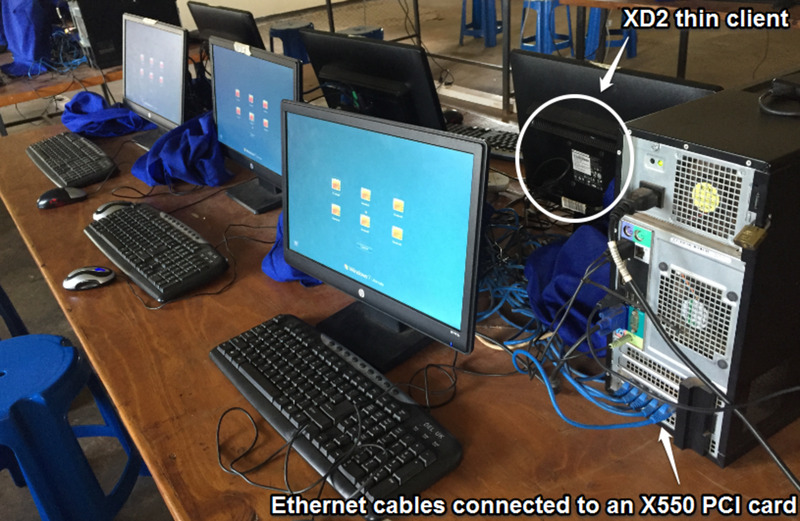 This means that from a small program (less than 900KB size) which does not even need to be installed, a user can let his system work to its performance limits, while he monitors the temperatures. Prime95 is probably the most popular stress-testing application, preferred by extreme overclockers as well as standard users. Additionally, what is fascinating about Prime95 is that it just does not waste resources; the calculations that a system will be asked to run are used in a long lasting worldwide calculation of Prime Numbers. The Options screen can show you details on your CPU. My tiny netbook is not really a performer. Depending on user's selection, the torture test will stress the RAM too. A blend of tests is usually a good start. Prime95 while working; do not forget to monitor your system's temperature while the program calculates prime numbers. The pictures I am showing are from my little trustworthy netbook, so the performance is too low. Actually, I didn't even run the test for long, because netbooks are not suitable for long and consuming loads due to bad heat dissipation from their tiny coolers. 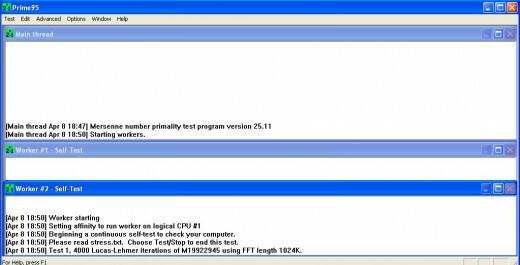 In the first screen you will be asked if you want to join GIMPS or you just want to stress test; if you decide to just test, you will not be participating in prime numbers calculation, since the software will only stress test your CPU without submitting any information online. 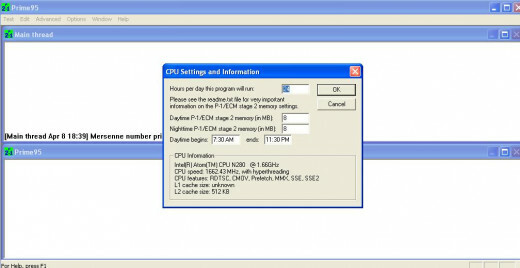 In Options tab, you can see details for your CPU and system in general and set the tool to run with a timed schedule. However what we want to do here is stress test the system, so we need to click at Torture Test. Here you get the option to decide what type of test you want; the second option will stress the CPU much and will also apply some load on the RAM too. The third option includes a blend of tests which also stress the RAM much. You can also assign how many test threads you want; press OK to initiate the test. At this time you will need to open up your temperature monitoring software. Keep the two windows aside, and let the system work for some time. Generally, as the producer indicates, temperature problems will show in a couple of minutes; you will probably notice a huge increase in temperature and soon the system behavior will become erratic, it might crash or restart. If it happens, you can be sure that your system has temperature issues and it will keep complaining every time you load it too much with your applications or games. Most users however prefer to let the application run overnight because this is enough time for the hardware to show any possible kinds of failure due to high temperature. Have You Ever Had Computer Problems Due To High Temperature? 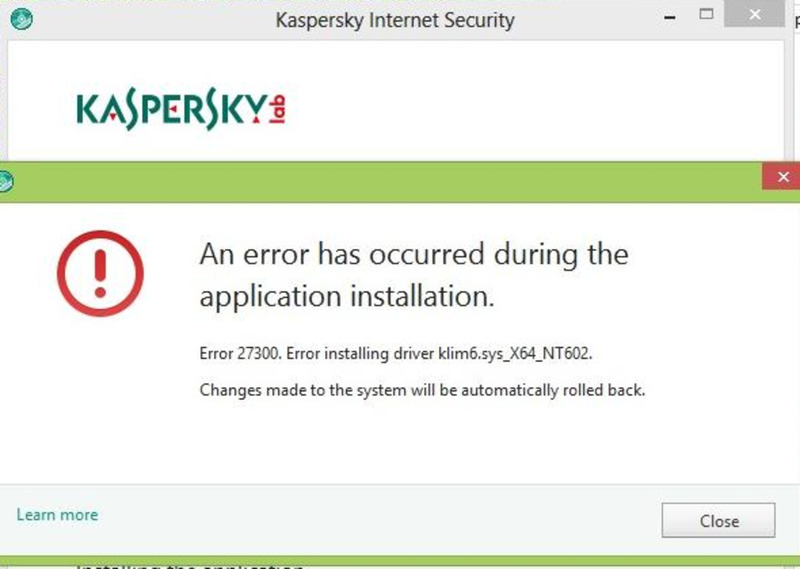 Software installed and used by literally everyone include loop holes which can allow access to your private data and computer system. Find out how you can be more secure. With CDCheck you can recover files from old, dirty or scratched CDs and DVDs that you had used for back up purposes. An antivirus software is necessary; is it enough, however? Learn how you could keep your computer safe using anti-spyware programs. Learn how you can use a USB flash drive to replace the optical media (DVDs/CDs) and format your hard drive, ready to install Linux. Find out about Format Factory, an all-in-one converter of audio and video, which can be extremelly useful for any kind of encoding. Find out how you can convert movies in the right format for your portable device.